During June’s Boot, Scoot & Boogie, the Sequoia Hospital Foundation was pleased to honor Joe Putnam and the Putnam family for their three generations of generous support of Sequoia Hospital, our Foundation and the community we serve. Mary Lou Putnam served on the Foundation’s Board of Directors for ten years and she and her husband Joe co-chaired the Foundation’s 2000 gala celebrating Sequoia Hospital’s 50th Anniversary. Joe and Mary Lou’s son, Marty, has co-chaired Sequoia’s annual golf tournament, an event Putnam Lexus has sponsored for the past twenty-six years. Marty’s wife, Anne, served on the hospital’s grand opening committee for Sequoia’s new Patient Pavilion. Lorianne (Putnam) Chammas brought the family’s third generation to the Foundation in 2014 as a member of the Cirque du Sequoia planning committee and, most recently, granddaughter Katie Putnam interned in theFoundation office. 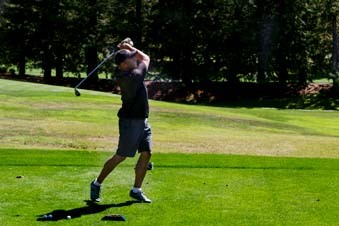 Learn more about our annual golf tournament as well as player and sponsorship opportunities. Online registration for this event has closed. Please call (650) 367-5643 for more information.